First Friday at Bella Rey Salon August 1! One of my good friends, Amanda, just opened a bigger and better location for her business, Bella Rey Salon, in Oakley on Brotherton Road. 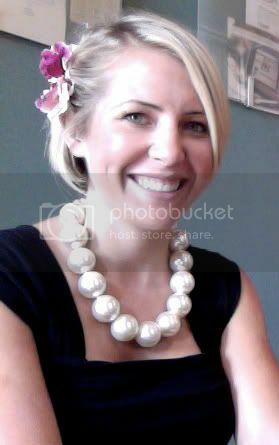 To celebrate and break in the new digs, she’s hosting First Friday at Bella Rey Salon on August 1. 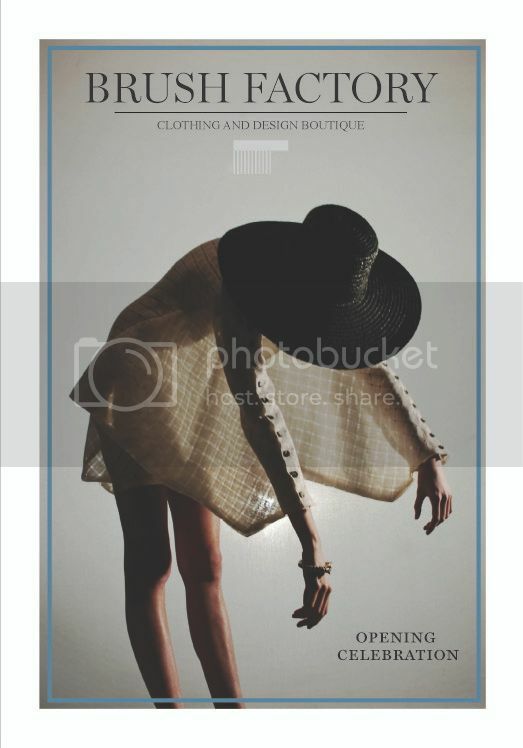 Sisterluv Boutique will be in attendance to show you the hottest boutique fashions and accessories and all of her summer items are being marked down just for this event! You can also pick up a new piece of jewelry for yourself from Cora Lane Jewelry. 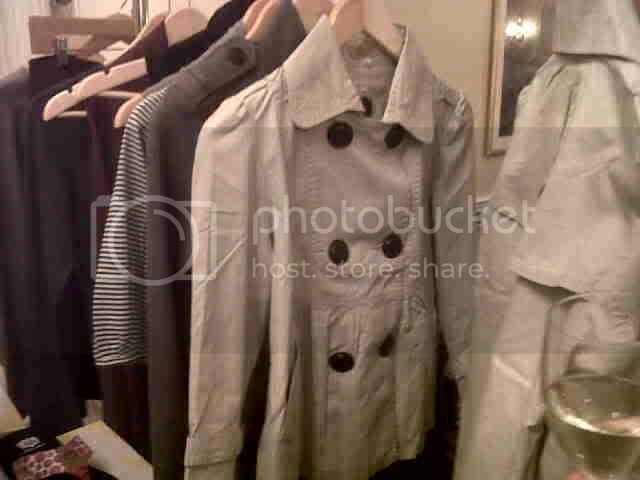 The salon is bringing the one-of-a-kind pieces back after they were such a hit during the holidays. Interested in Botox? 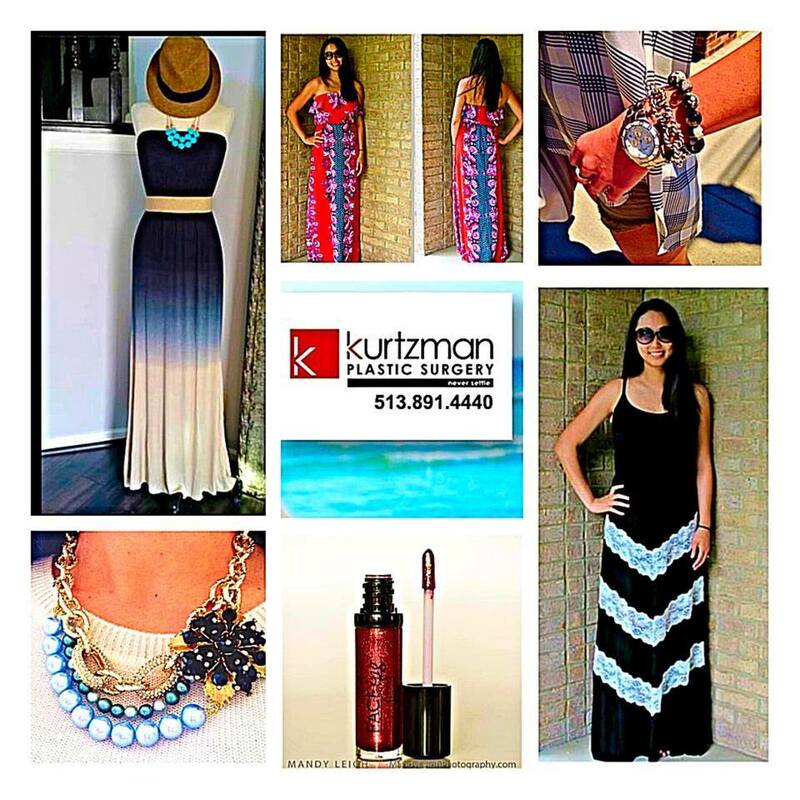 Kurtzman Plastic Surgery will be there and is offering a pretty amazing discount just for First Friday! You can get Botox for $225 a site and the best guy to get the job done! I had SO much fun at this past Saturday’s Women’s Health Expo at The Phoenix downtown! 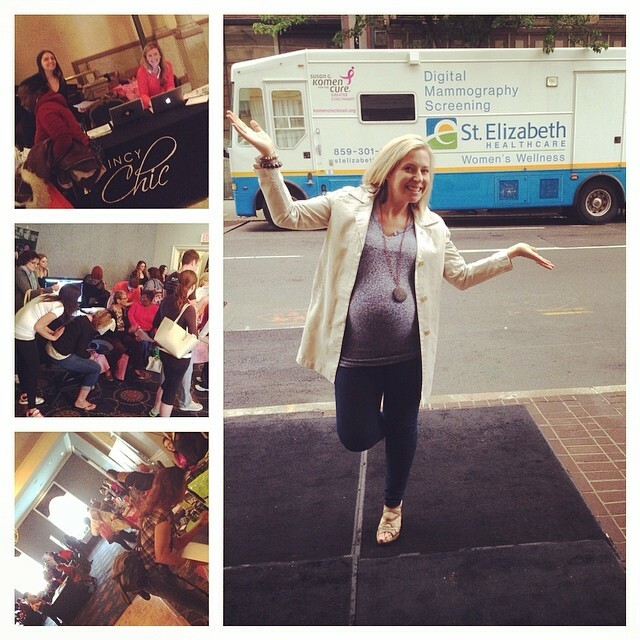 We had more than 600 RSVPs and they enjoyed free mammograms, tasty (and healthy!) treats, a crossover fitness fashion show, free physician seminars, and 40+ vendors to shop with and learn from! 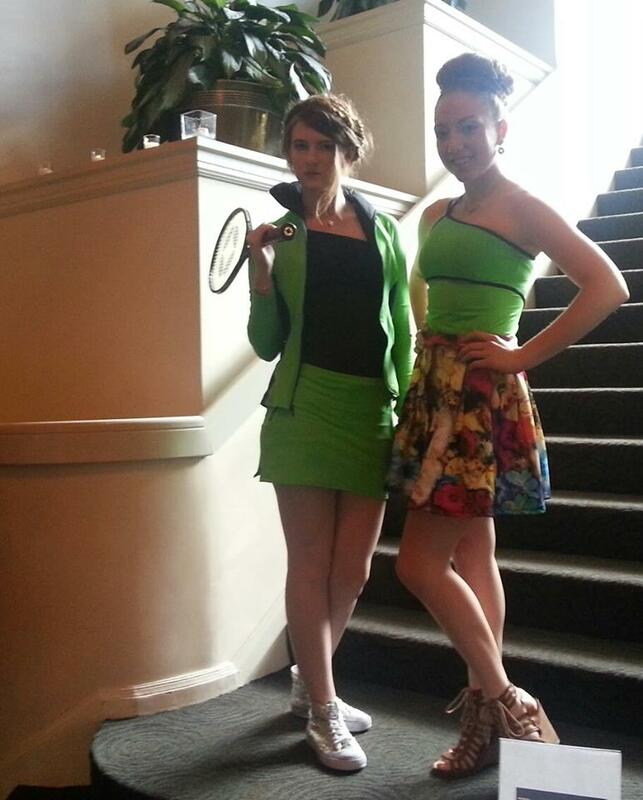 From tennis to tea, Turn It On Fitness Crossover fashions have you covered. 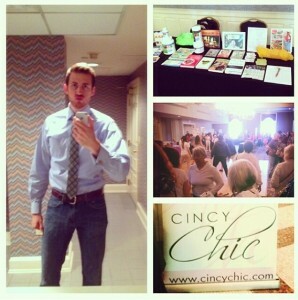 Here are a few highlights of the event for me… of course, the fashion show was awesome. 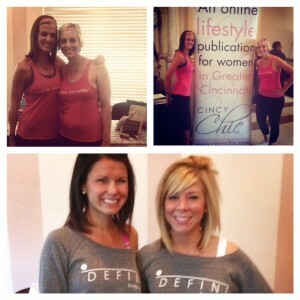 The clothing was by Turn It On Fitness, which I blogged about a couple months ago here and we wrote about here in Cincy Chic. The line was created by former Ben-Gal cheerleader Juetta West and was designed by Project Runway star (and Dayton native) Althea Harper. The idea is that it’s clothing that’s functional enough for the gym and fashionable enough for everywhere else! The models in the show came out in pairs – one styled with the “fitness” look, and one styled with the “fashion” look – and it really helped to show how you could easily transition each piece. The pic My Health Coach Zach posted to his instagram during the show! Then, I stopped by to see “My Health Coach Zach” (we recently wrote about him here in Cincy Chic) who gave me great advice about tweaks to make to my nutrition to increase my chances of getting pregnant… shortly after his coaching, I got preggo, just sayin’! 🙂 He and I chatted about some things we can do to get my husband feeling better from his RA symptoms, and he suggested a new type of test he offers that can test for any food allergies that you may have. My husband’s RA tends to flare whenever he has gluten, so Zach was thinking maybe some other allergies might be flaring him up too! Apparently, they just take your blood and test it that way, which sounds easy and painless enough. So, I’m going to look into getting him that food allergy test asap! (top two) The Owl Be Sweatin’ gals (bottom) The DEFINE Studio gals! Then, I ran into the gals from Owl Be Sweatin’. We’ve written about them a couple times in Cincy Chic, and they’re good friends of a friend of mine, but I had never met them before or seen their headbands in person before. Holy cow do these headbands work well! They’re adjustable, non-slip headbands made in a variety of colors and patterns. Because you can adjust them to perfectly fit you, you don’t get those headband headaches. And they’re only $16! What a great concept! Definitely check them out! Last but not least, I stopped by to see the girls at DEFINE studio, which just opened in Oakley (we wrote about them in Cincy Chic here). They were telling me about their “revolution” classes that they do that are a unique twist to spinning classes. Dark room, upbeat music, incorporating choreographed movements with super effective isometrics. I used to be a Spin instructor a few years ago and I was in the best shape of my life when I was doing it. So, post-baby I’m definitely going to have to go check that out! Make sure you’re subscribed to Cincy Chic to be the first to know about all our upcoming events so you don’t miss out on great ones like this expo was!! 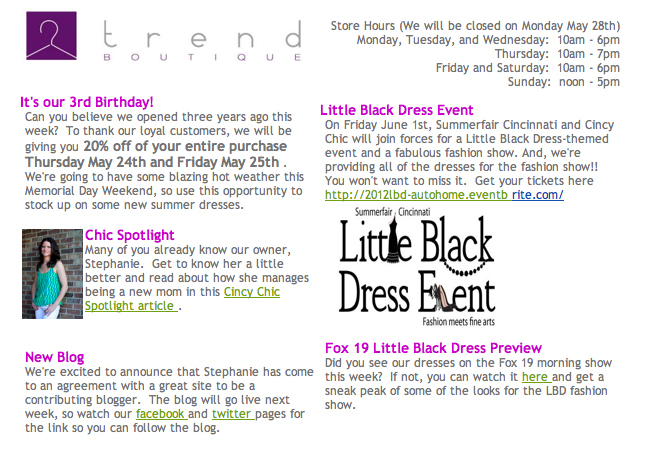 I just got an email from Trend Boutique – who is sponsoring our June 1 LBD event – about the sale they’re having today and tomorrow to celebrate three years in business! 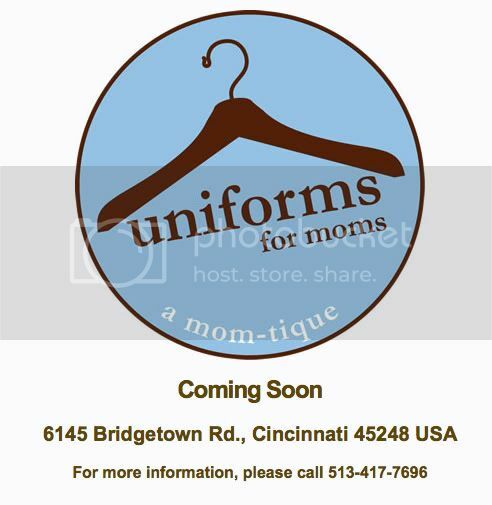 We actually just featured Stephanie, the owner of Trend, here in Cincy Chic to see how she juggles being a new mom and business owner – great read, so definitely check it out! According to the email, you can get 20% off of your entire purchase Thursday May 24th and Friday May 25th! 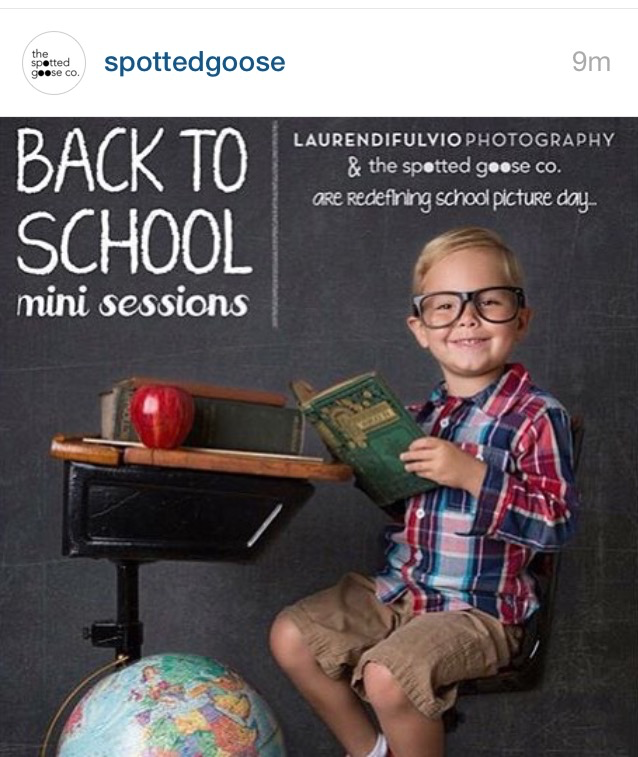 Definitely check them out and take advantage of this sale – they’re in the newly revamped Oakley Square! Enjoy! There will be free horse-drawn carriage rides, free pictures with Santa, Christmas trees for sale on the square, and more. Nest Gifts, one of my favorite shops in Oakley, just announced that it’s moving to Hyde Park Square. 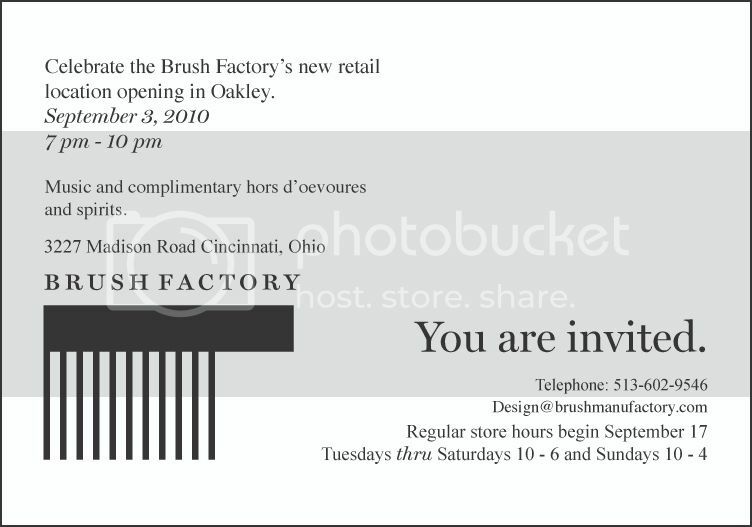 Their announcement says the new store will be open in November, and until then, everything at the Oakley store will be discounted to move. Comes at a perfect time because Nest has lots of great gifts… get your holiday shopping done early at the sale! 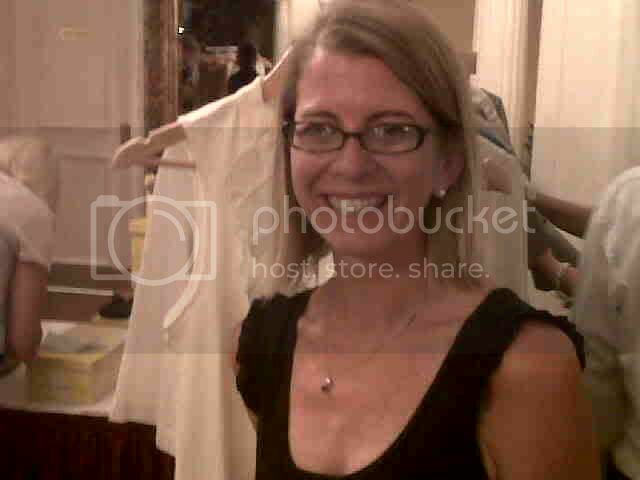 20-40% Store Fixtures, Accessories and Gifts.